This is an essential cooking skill. 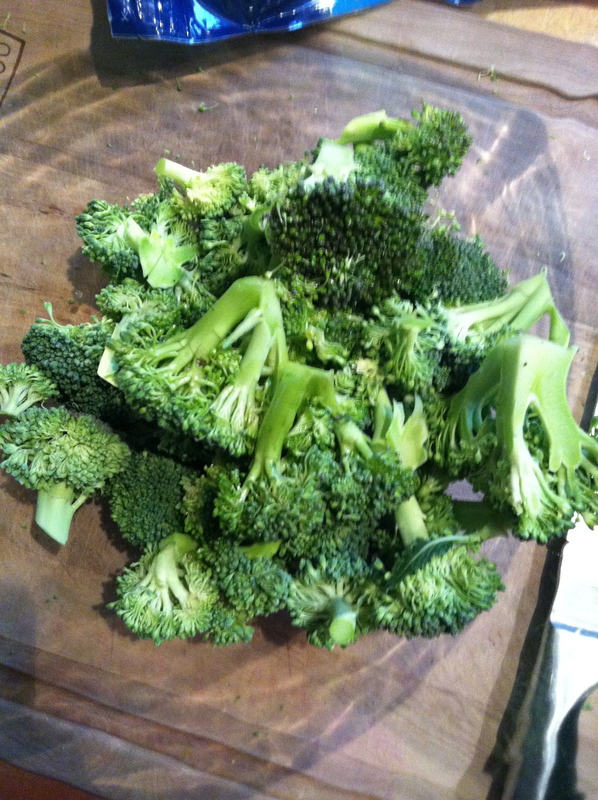 Roasting vegetables is easy, quick and produces an amazing result. Tender, caramelized, delicious veggies that even those that don’t usually love veggies can’t help but enjoy! Balancing your plate means that most of you will need to increase veggies to fill half your plate, and so interesting ways to prepare veggies is a common question. 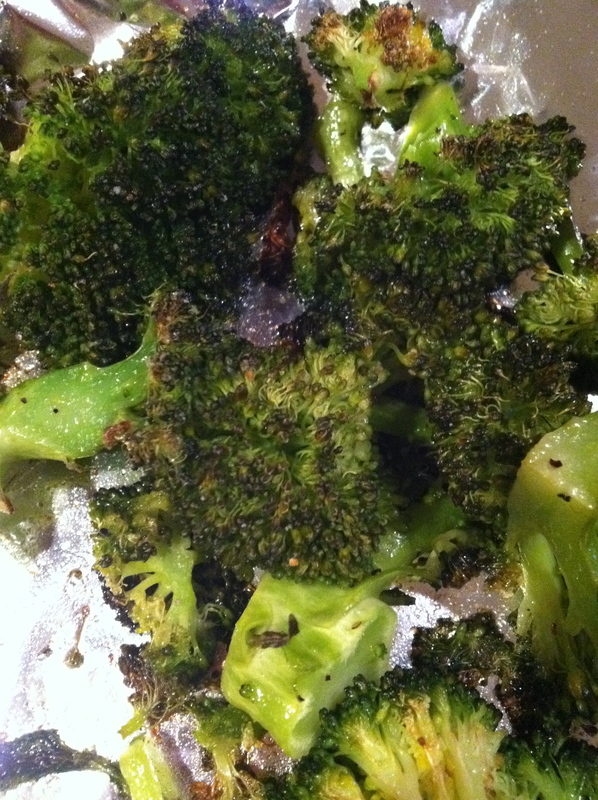 Toss with olive oil and a sprinkle of salt and pepper. Add minced garlic and other herbs and spices if desired. Set in oven and roast until soften, about 15-25 minutes depending on the vegetable. This is sliced fennel. 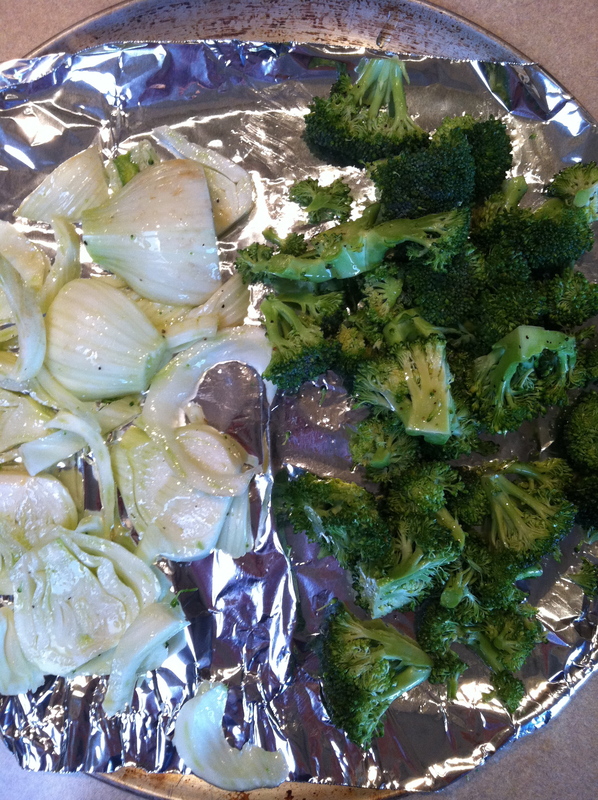 I had fennel for a salad that I never got around to making and so I roasted it! Amazing!!! Place cut up veggies in a bowl and toss with olive oil. Place on a baking sheet. I lined mine with foil because my baking sheets are contaminated with gluten…one of the considerations for those with celiac and is not necessary for others. Notice the little browning on the edges–it’s a little crisp and so GOOD! The fennel was such a surprise! 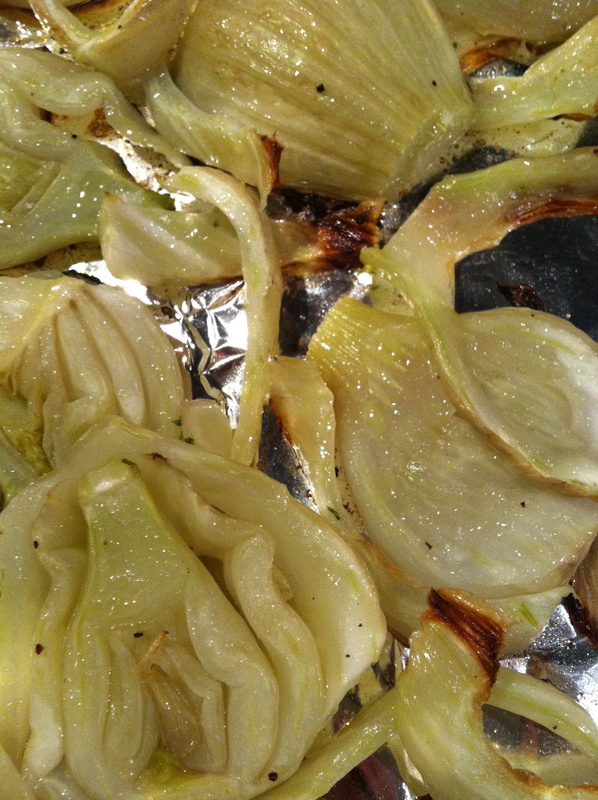 I had never roasted fennel. It was soft and almost sweet. 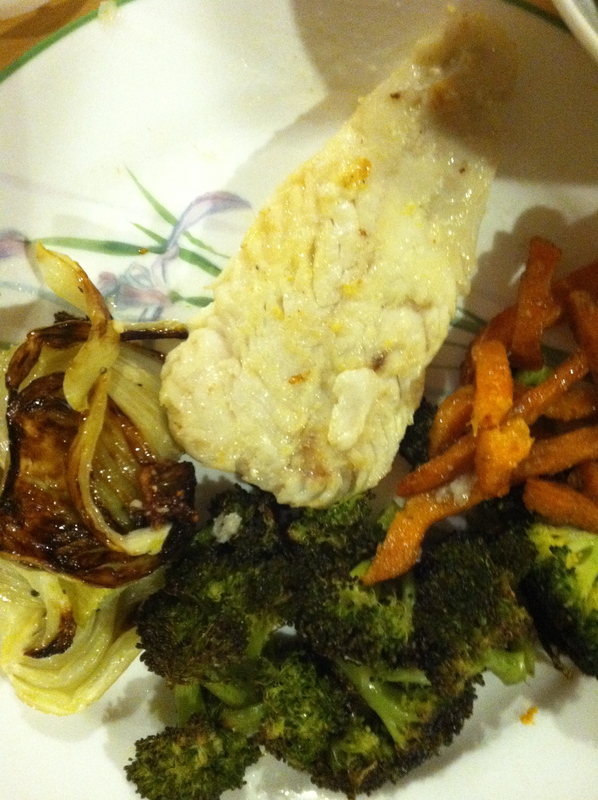 Here is my balanced plate with roasted broccoli, fennel and sweet potaotes with a piece of fish.